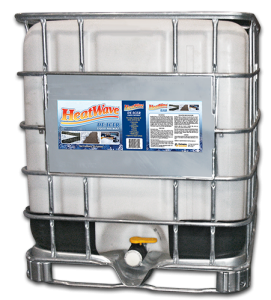 HeatWave™ is a corrosion inhibited liquid form of calcium chloride that has been tested and proven to be effective to -25 F (-32°C). 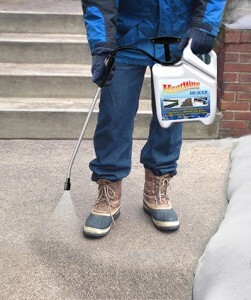 Applying HeatWave before a snowstorm hits will not allow the ice and snow to bond to the concrete or asphalt. This makes post-storm cleanup easier and less expensive. With a natural fertilizer it is the environmental choice in snow and ice removal. Available in 275 gallon tote and 4,000 gallon tanker truck. Road Guard™ Plus 8 is a corrosion-inhibited liquid form of calcium chloride and magnesium chloride brine developed especially for anti-icing and pre-wetting at extremely low temperatures down to -49°F (-45°C). The active ingredients for de-icing are 26.5% calcium chloride, 3.1% magnesium chloride, 2.2% alkaline chlorides including sodium chloride and potassium chloride, 8% highly effective corrosion inhibitors. The corrosion rate is 85% lower than sodium chloride. 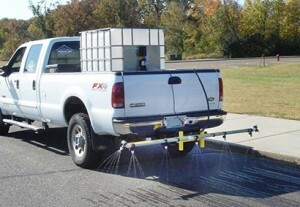 Available in 275 gallon totes and tanker trucks. MeltDown Apex™ is the only liquid anti-icing and de-icing product that delivers unmatched melting performance at lower temperatures. It boasts a 12°F improvement in freeze point over any other liquid de-icer. 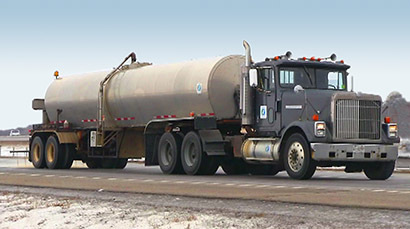 This performance-enhanced magnesium chloride (MgCl2) brine not only produces results at lower temperatures, it also improves the ability to combat snow and ice buildup on road surfaces. 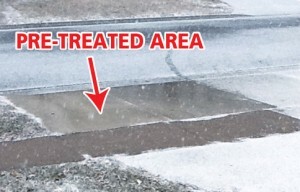 Ask us about buying straight magnesium chloride or calcium chloride for blending with salt brine or for use as a pre-wet application before a storm.